Becoming a U.S. citizen promises significant financial rewards. According to a report by the Center for the Study of Immigrant Integration at the University of Southern California, immigrants who become citizens earn 8 to 11 percent more annually. But applying for U.S. citizenship also comes with a hefty price tag of $725. The Federal government charges $640 for the citizenship application fee and another $85 for biometric services, including fingerprinting. Those expenses quickly snowball if people must pay for lawyers, English classes, and civics test preparation. If several family members are applying, costs multiply. Some lawful permanent residents of limited means qualify to have the fee waived or for a reduced fee, provided to individuals living at or below 200% percent of the poverty level. For someone with an income just above that, who has no savings or credit history, accessing hundreds of dollars is daunting. Financial institutions won’t loan money to people who don’t have a good credit report, and aspiring citizens may not have credit reports at all. Immigrants with seasonal work, for example, have a difficult time projecting their annual earnings. Their employers may pay them in cash. Limited language skills might also make it hard to discuss financial agreements. “We’ve been studying the small-dollar credit market available to immigrants,” says Sabrina Terry, a senior economic strategist for the Economic Policy Project at UnidosUS, a national partner of the New Americans Campaign. “There aren’t very many options available.” But that lending landscape is slowly beginning to change on the local level. Organizations across the country are developing affordable and safe ways for new Americans to find financing. Becoming a U.S. citizen is a worthwhile investment— the following strategies can help make sure that the filing fees don’t stand in the way. The New Americans Campaign network, led by the Immigrant Legal Resource Center, can point the way to non-profit and community-based partners across the country that provide free or low-cost legal services, and can help people find language classes, and tutoring. They can also help determine whether applicants for citizenship qualify for filing fee waivers or the reduced fee. The New American Campaign’s fee waiver calculator, also available in Spanish, can provide a quick answer. Applicants who plan ahead can sometimes save the money or borrow it from family or friends. This route isn’t available to people with few connections, says Sabrina Terry of UnidosUS. “It takes much longer and it can strain that person’s personal network.” Paying with a credit card is another option, but aspiring citizens without high paying jobs often don’t have credit cards. Even when they do, the high interest rates quickly become prohibitively expensive if the bill can’t be paid quickly. 3. Financial and Community Services Partnerships. 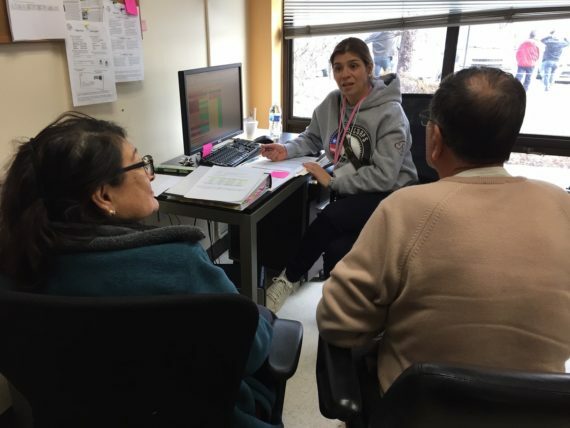 UnidosUS launched a pilot small-dollar credit program that establishes partnerships between community-based service providers to help immigrants overcome financial hurdles in the immigration process. The pilot is currently active in California, Arizona, Florida, Delaware, Rhode Island, and the Washington D.C. metro area (including Maryland and Virginia). In each location, UnidosUS pairs a community organization with a small-dollar lender, like Capital Good Fund based in Rhode Island, that is willing to be flexible about how clients prove their income, and to accept clients traditionally viewed as “risky,” because the community organizations pre-qualify their referrals through the UnidosUS online screening tool, Fuente Credito. “We don’t think community-based organizations should try to tackle this on their own,” says Terry. “Lenders and community organizations can work together to increase immigrants’ access to credit while reducing the risk associated with immigrant borrowers,” explains Terry. In the year and a half that the pilot has been up and running it has processed 150 loan referrals. A third have successfully received funding and of those, reports Terry, none have defaulted. In markets with no affordable lenders, UnidosUS has recently raised funds to use as collateral or as loan subsidies to encourage lenders to supply immigration loans to meet the rising demand. “We are testing different strategies on the local level to inform a larger macro solution to this credit barrier across the country,” says Terry. 4. Financial Education and Micro Loans. 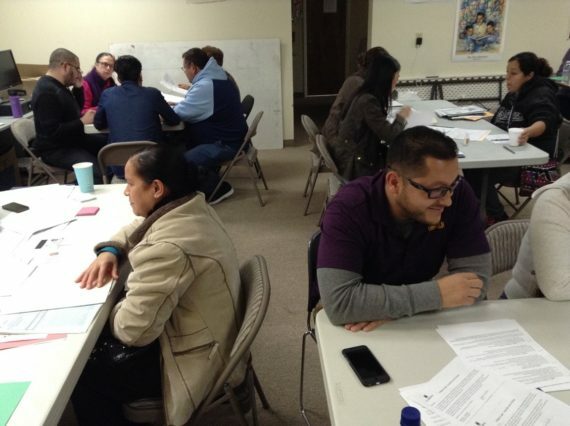 CASA, an immigrant service nonprofit in Maryland and a local partner in the New Americans Campaign, integrates financial education with their legal services to aspiring citizens. Screeners ask applicants how they plan to afford the process, and if there is concern applicants are taught how to prepare a household budget to save for the fees. Clients learn how to open a bank account and how to manage their credit score. The centuries-old tradition of lending circles—often called cundinas or tandas, in Mexico, susus in West Africa, and huis in Asia—allows friends and family members to make regular contributions to a money pool, eventually getting a turn to take the entire amount. Mission Asset Fund brought this concept to a network of about 50 nonprofit, community-based organizations around the country. MAF pairs 0% interest loans with financial education and provides the technology to disburse, track and report each payment to credit rating agencies. MAF also has a wealth of philanthropic supporters that come through in the crunch, for example providing scholarships to DACA recipients when they had a tight window to pay fees for their DACA renewals.Commercial start-ups like eMoneyPool are also entering this market. 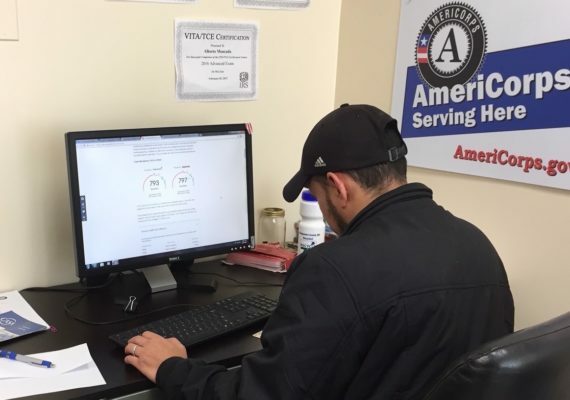 eMoneyPool works with UnidosUS and community service providers to help aspiring citizens save for naturalization fees and build credit at the same time. Applicants are approved immediately if they have a social security number and a bank account. They pay from 2% to 8% in interest, depending on how quickly they need the money, and an online rating system keeps people honest and on track. “Very few low-to-moderate Americans actually save on a consistent basis,” says Luis Cervera, who co-founded the company with his brother, Francisco. New participants are limited to a pool of one thousand dollars at first. But the model forces people to save, putting their contribution in until they take home the entire amount. “That’s what makes it effective and attractive to most of our users.” This approach takes planning and time, but it also helps people build credit. 6. Policy Solutions and Philanthropic Support.